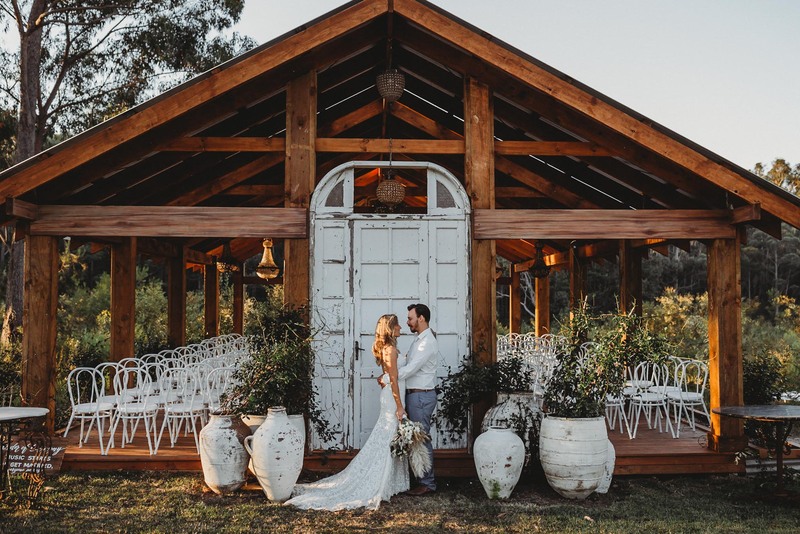 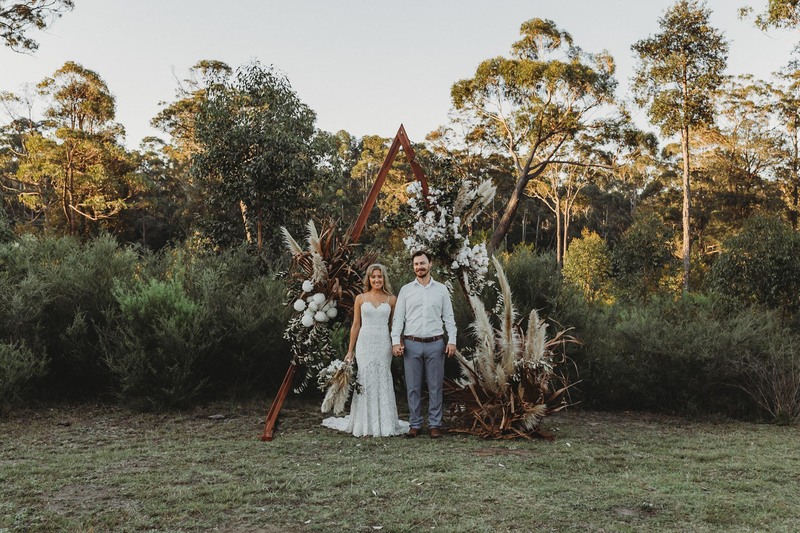 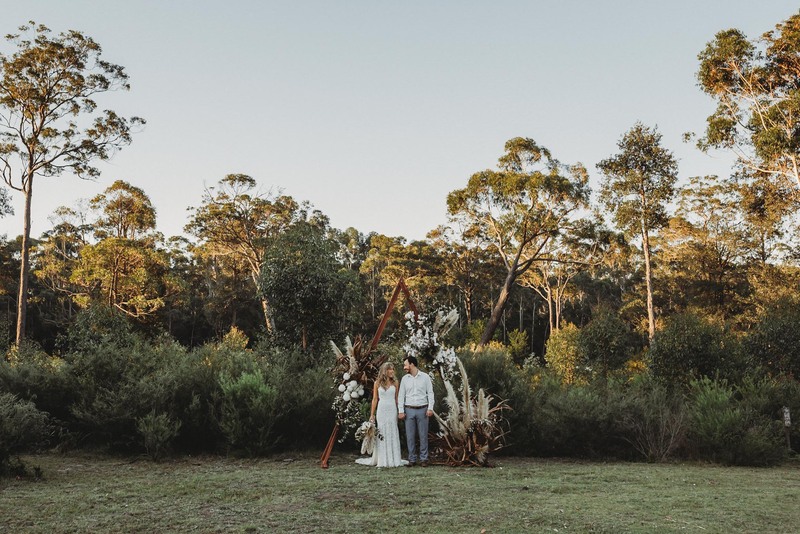 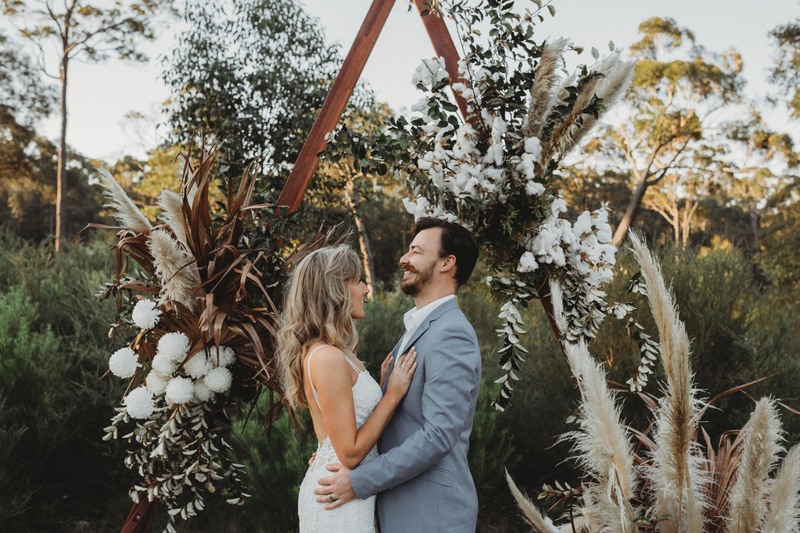 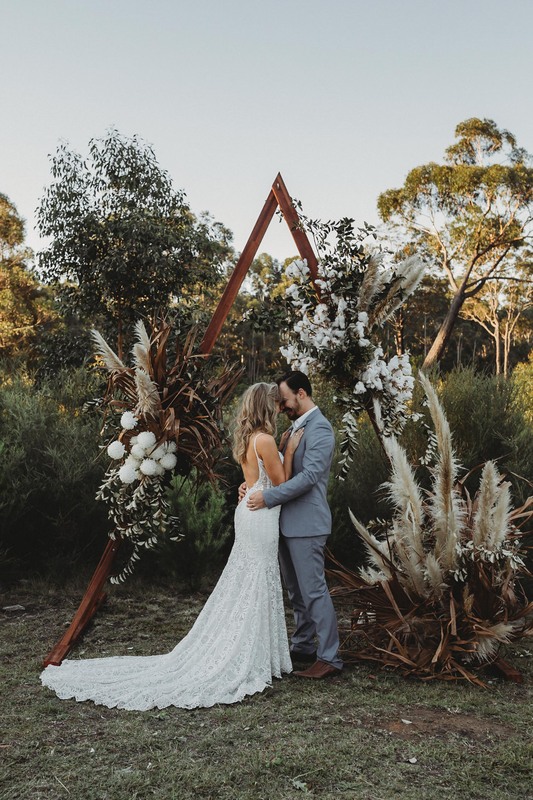 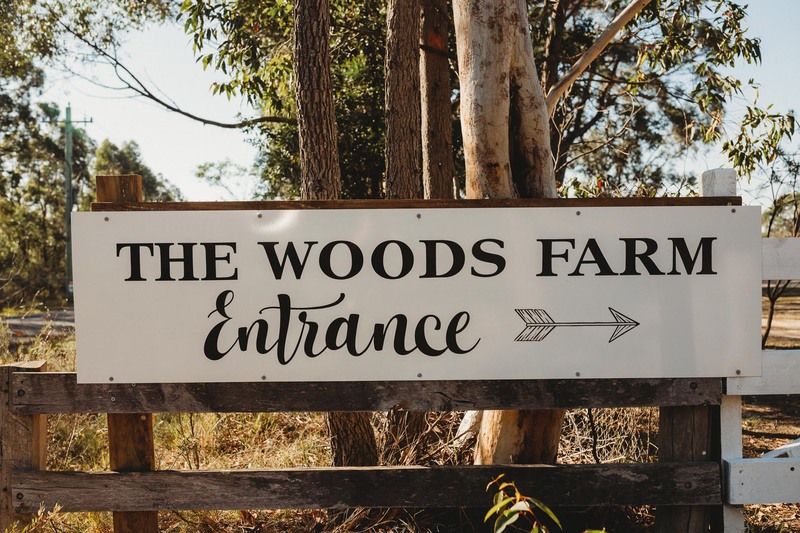 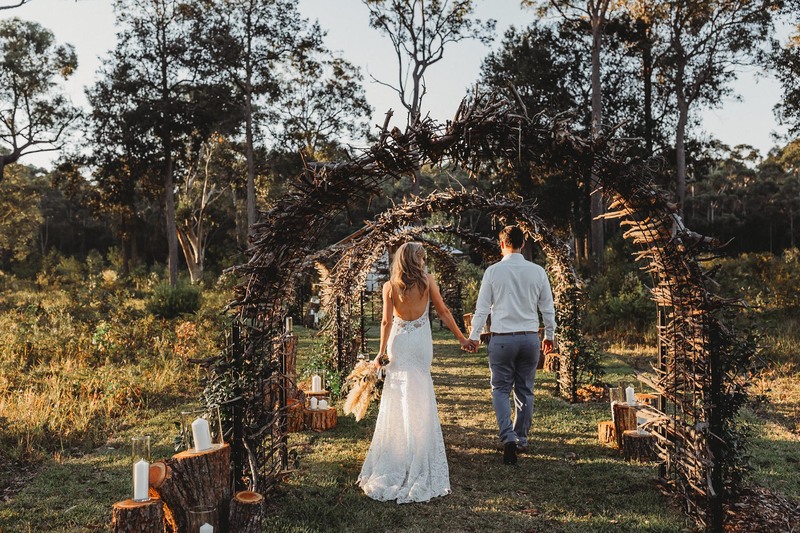 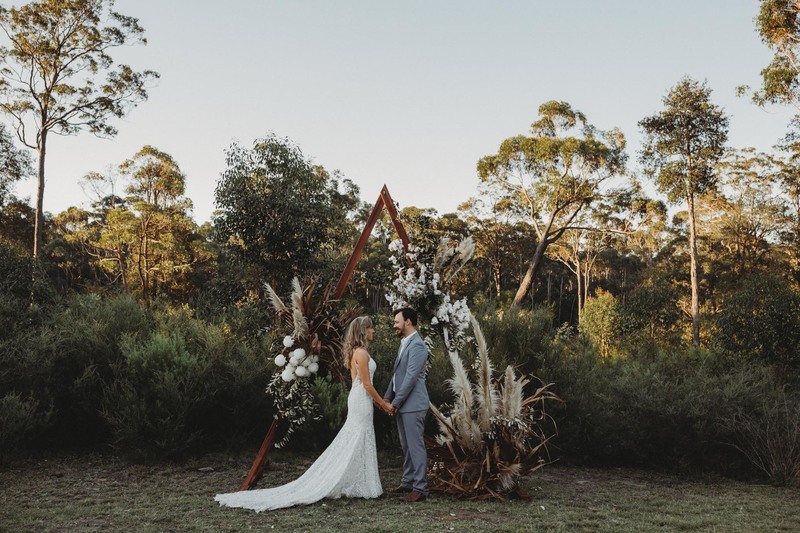 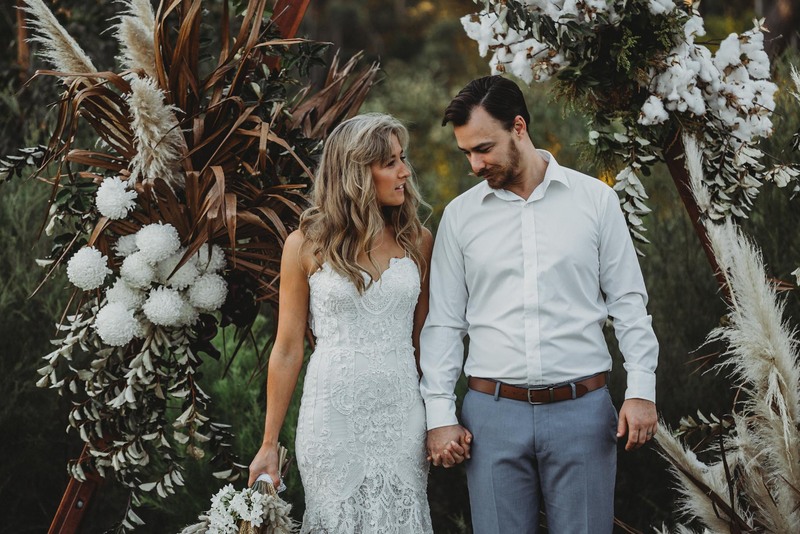 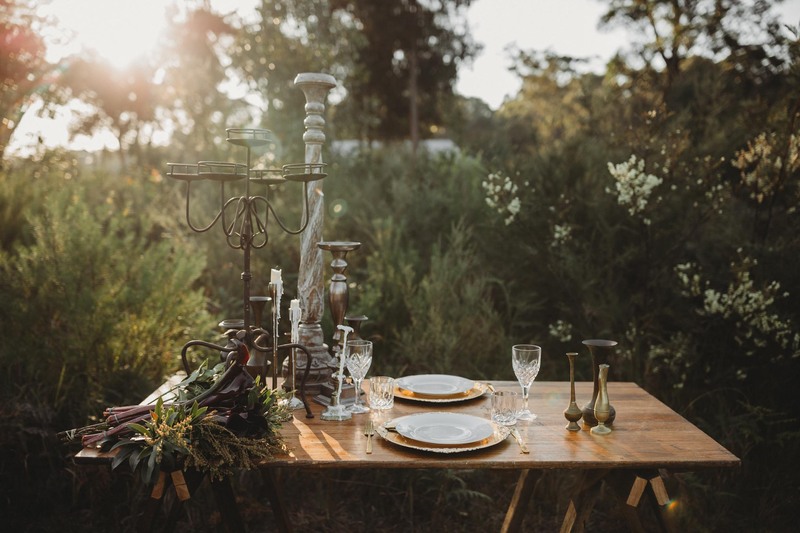 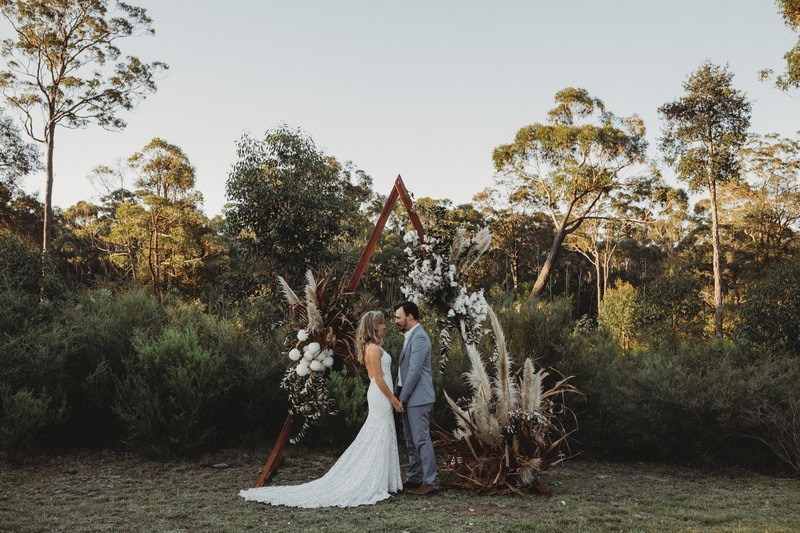 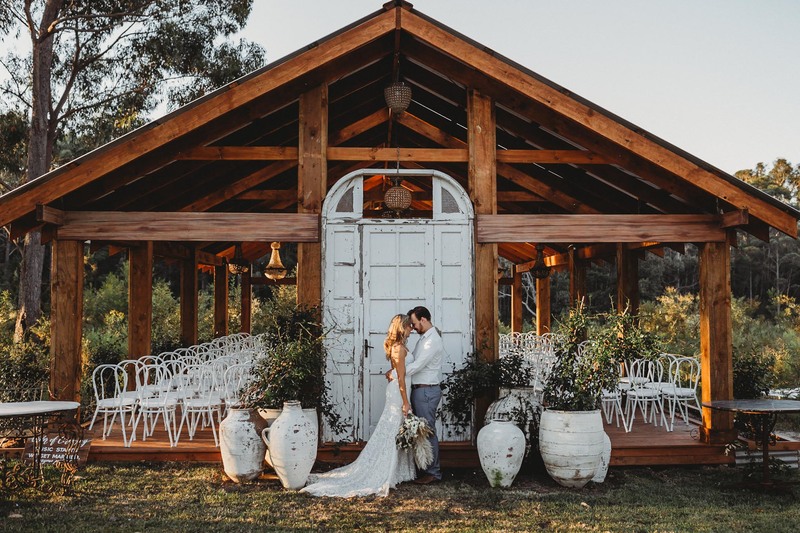 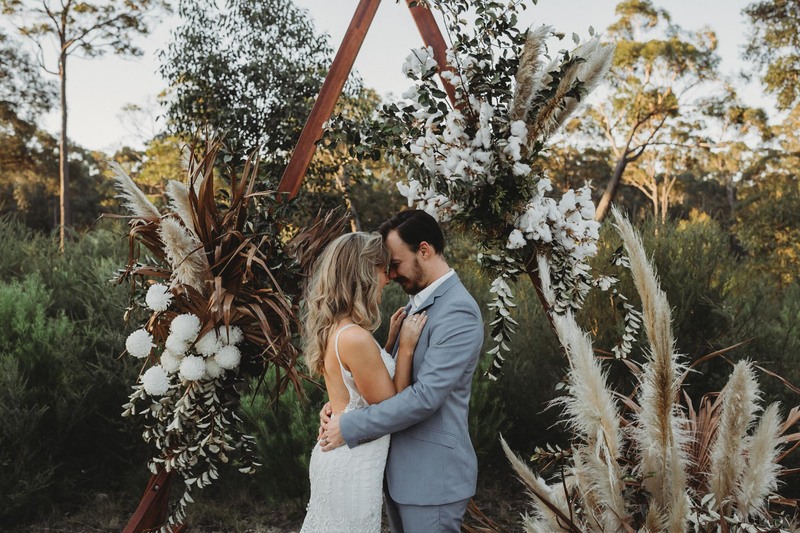 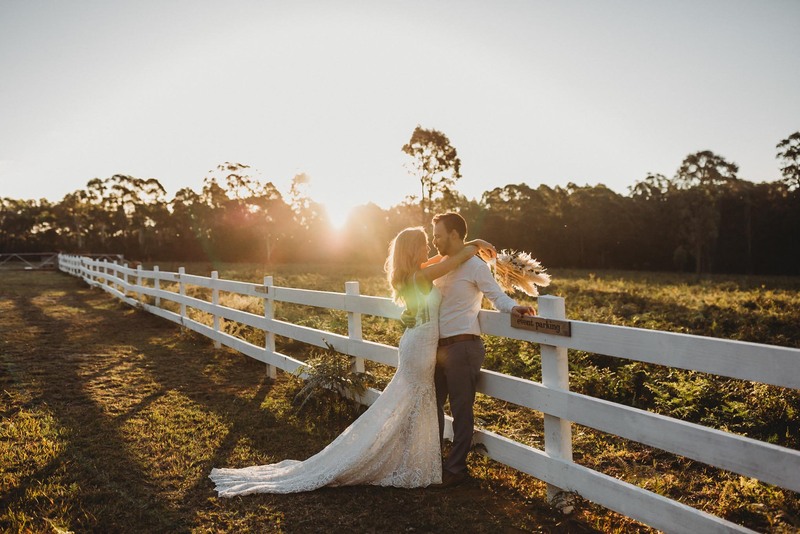 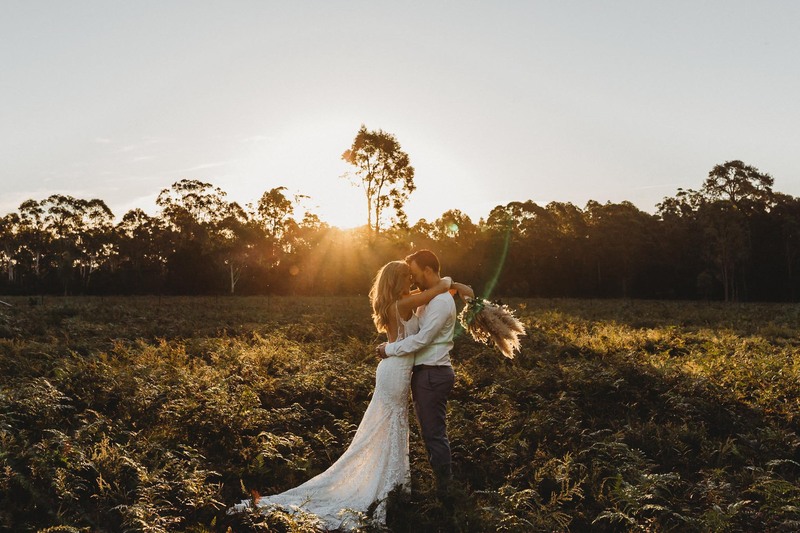 This styled shoot took a lot of inspiration from the beautiful surroundings at The Woods Farm – Jervis Bay, where the styled shoot took place. 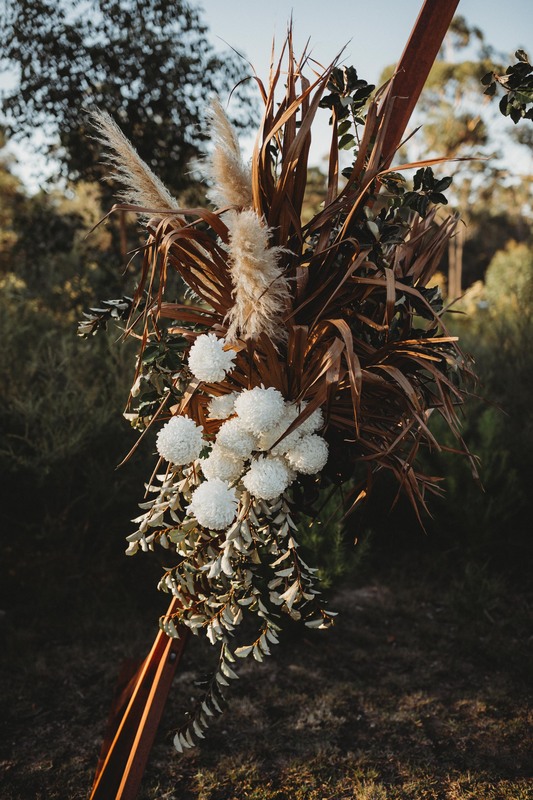 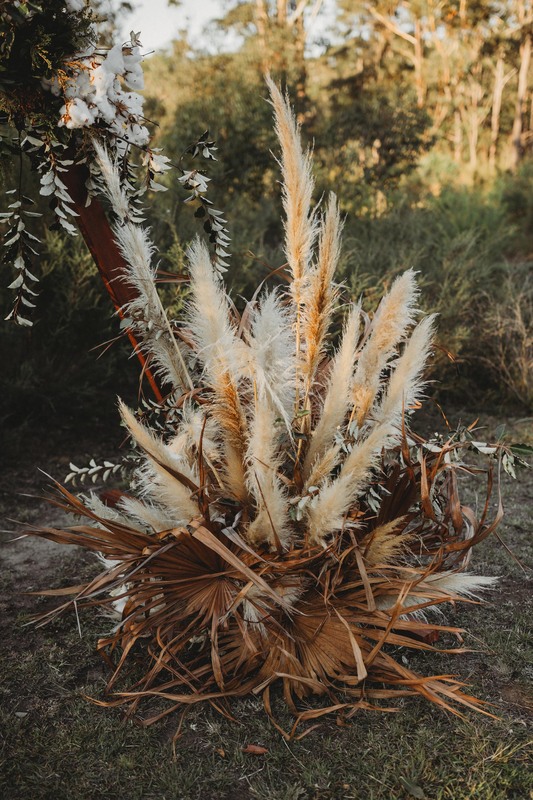 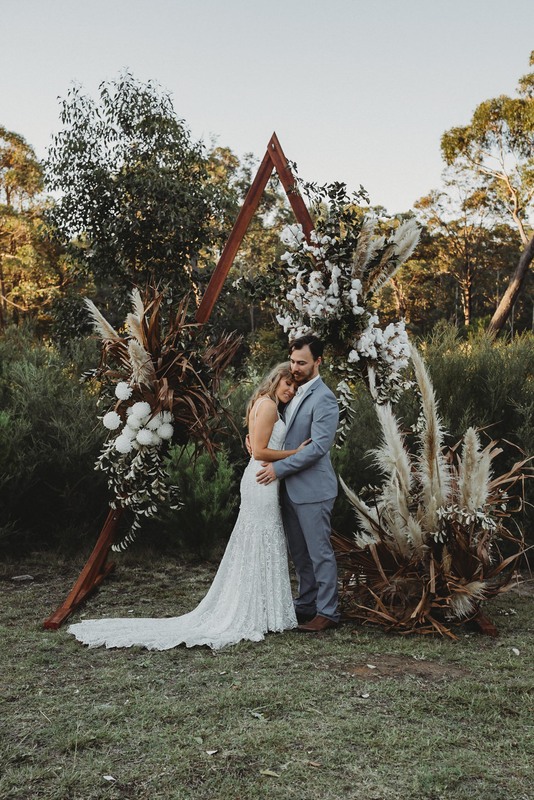 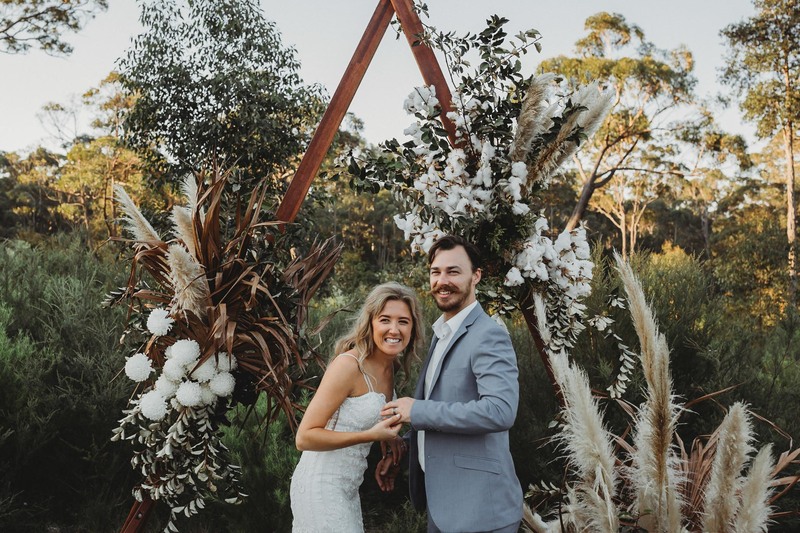 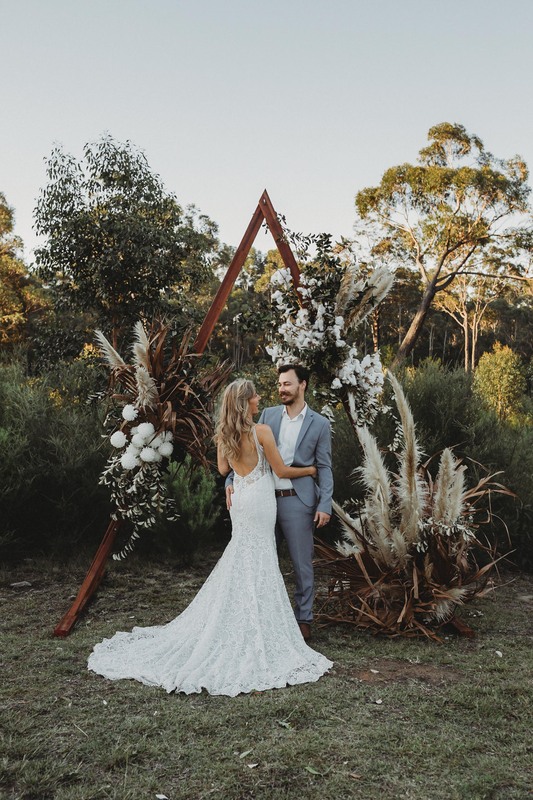 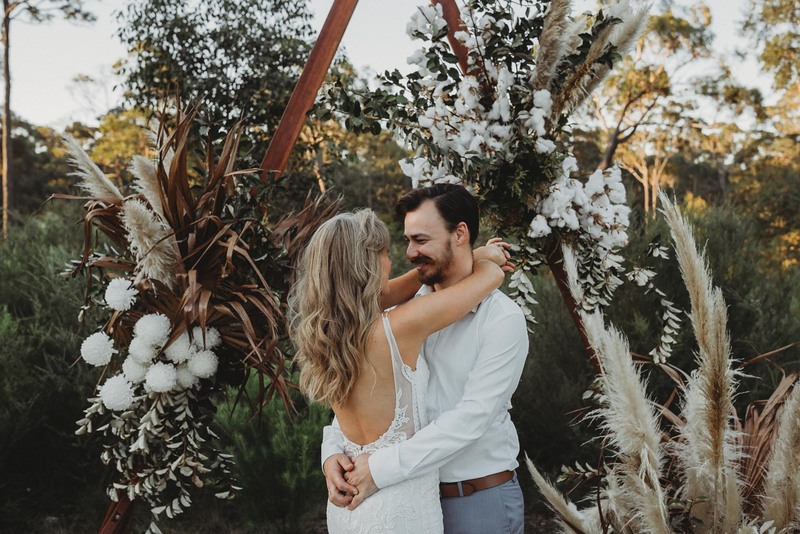 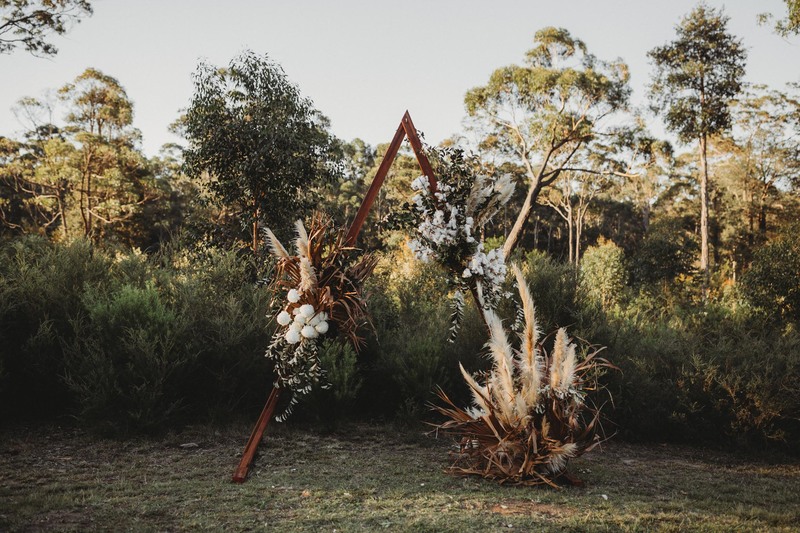 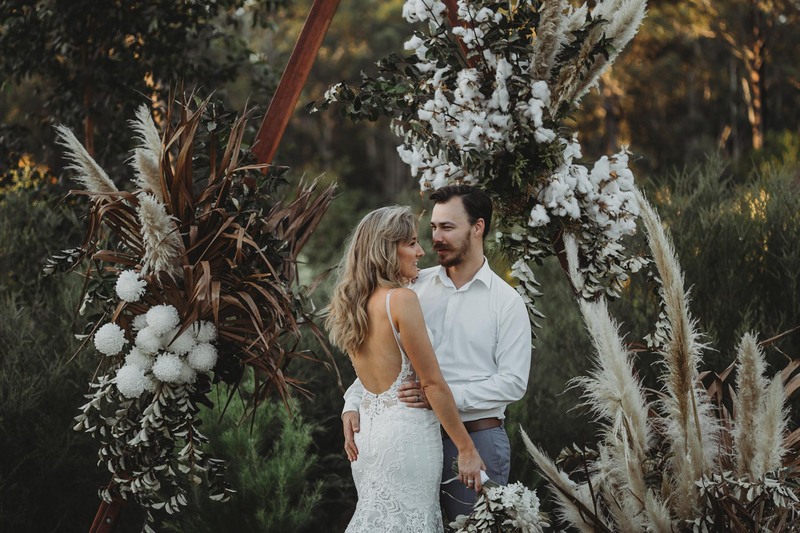 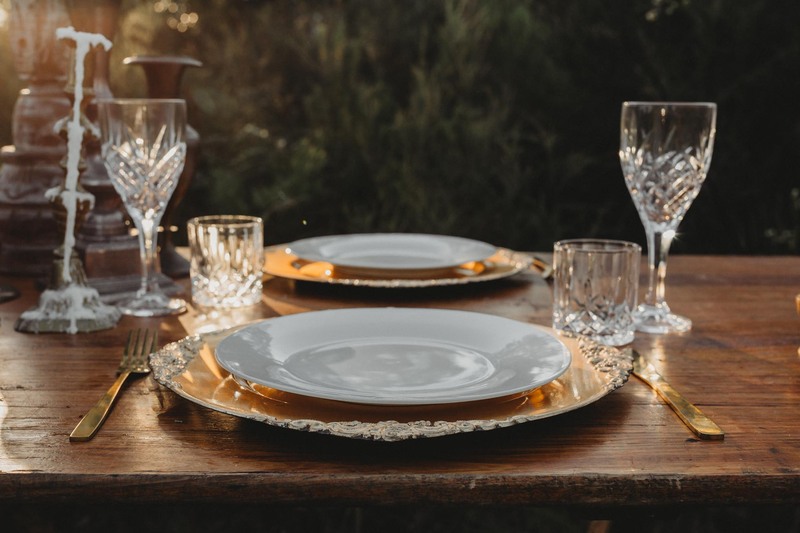 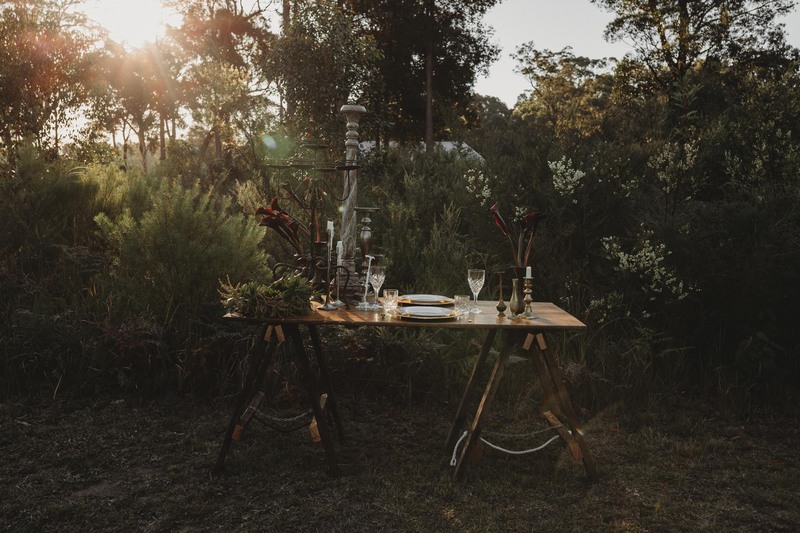 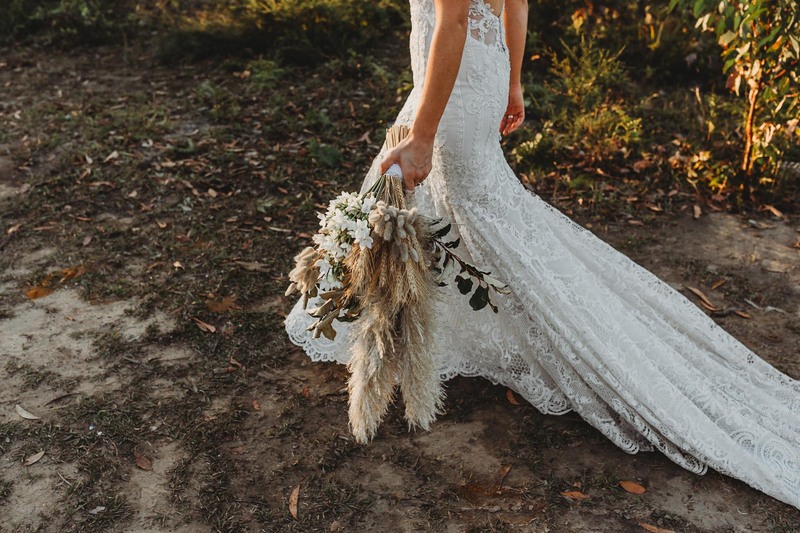 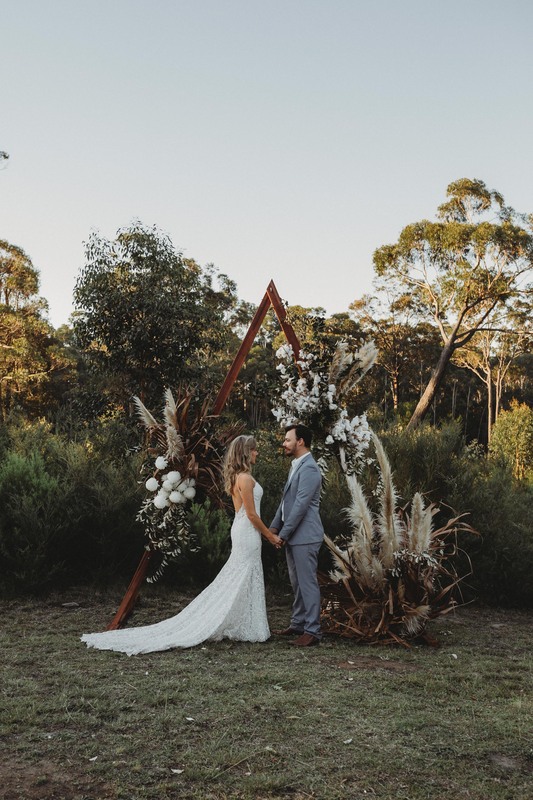 Utilising the natural Australian bush as our backdrop for this shoot and enhancing it with the beautiful stylings by Hoorah Events, Ivy Lane Collective and Arrows and Lace.Along with Make Up Artist Ella & Me – The Make Up Collective and myself Eliza from Eliza Jade Photography. 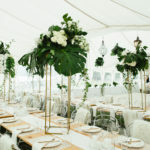 I think the team we have has created some amazing inspiration for future brides to come. 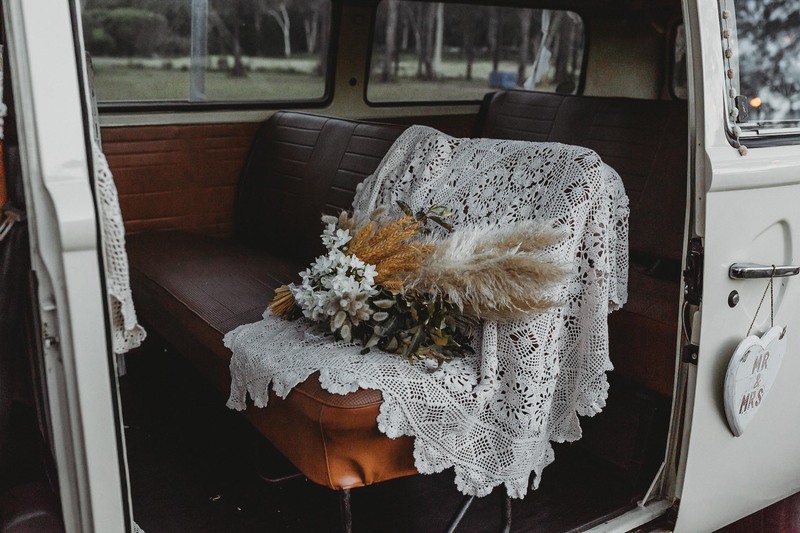 Taking the traditional and mixing it with something that makes your wedding unique. 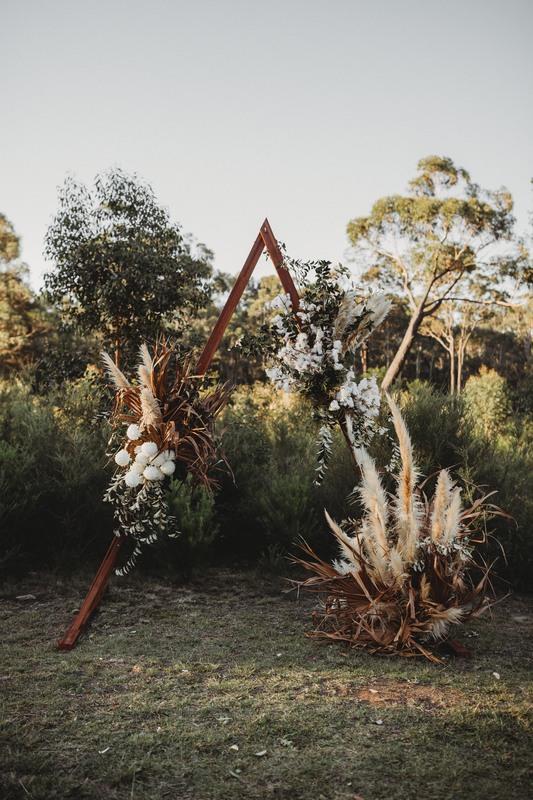 We were all about ‘the daring bride’ and wanted to portray that not everything has to be traditional. 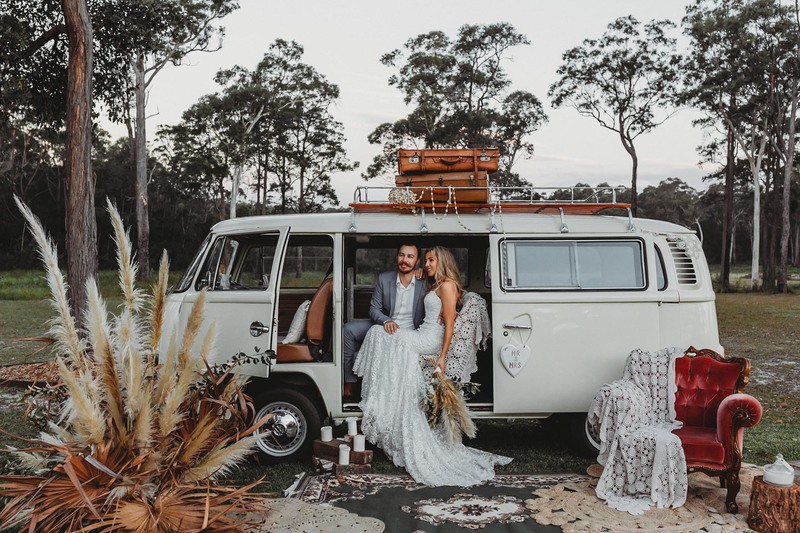 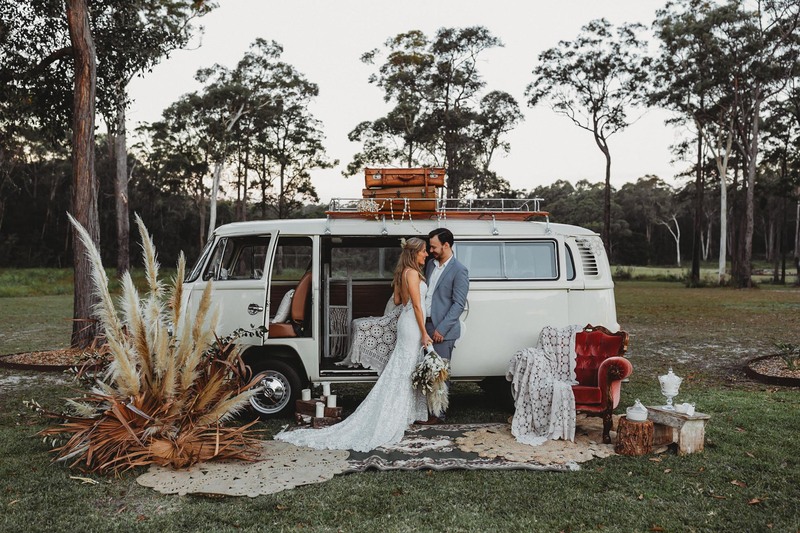 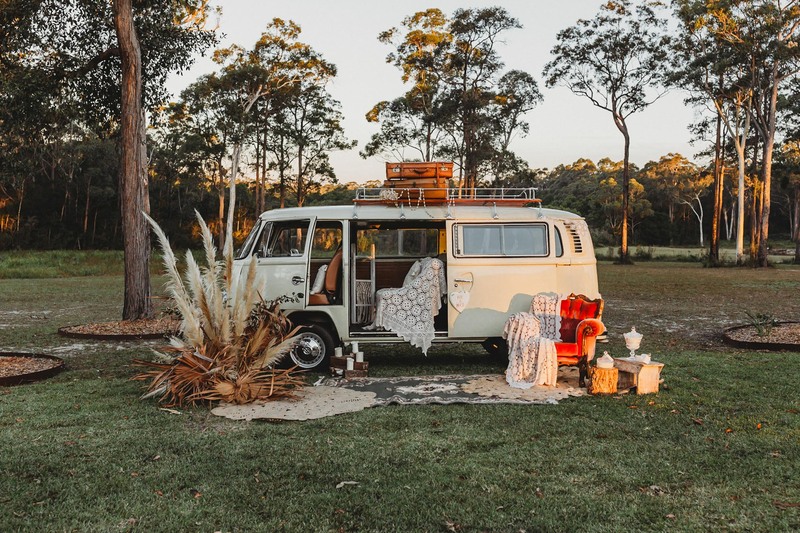 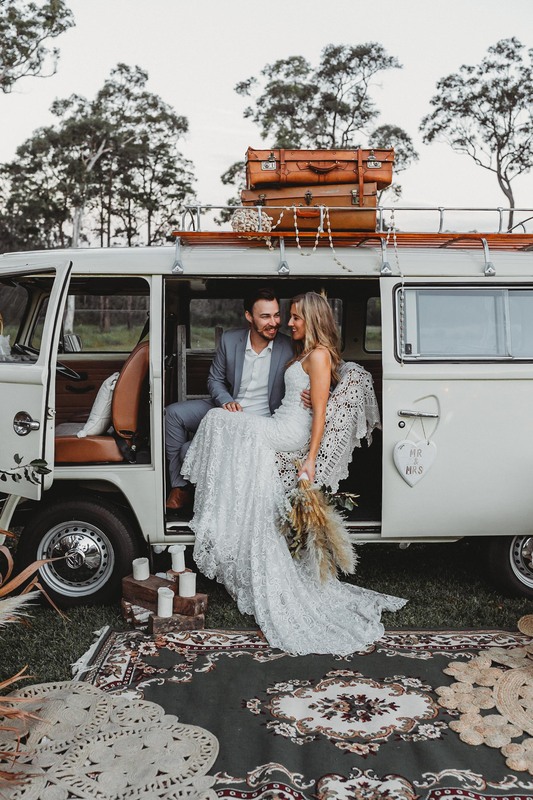 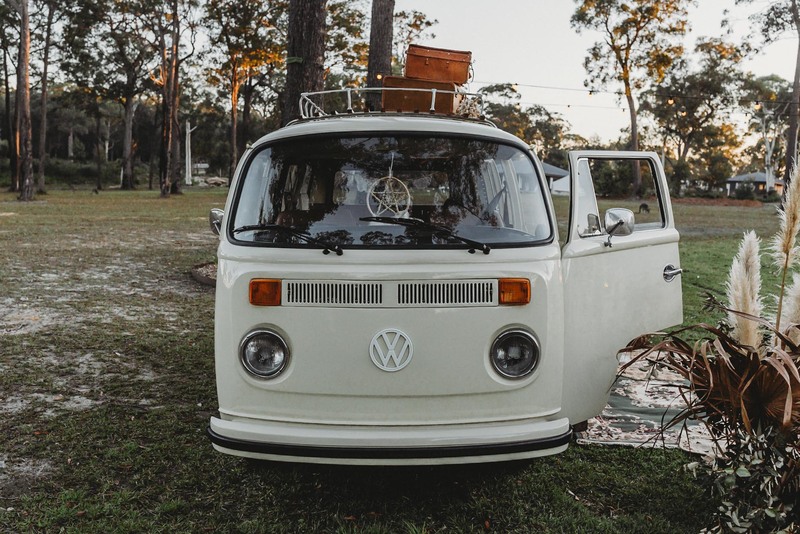 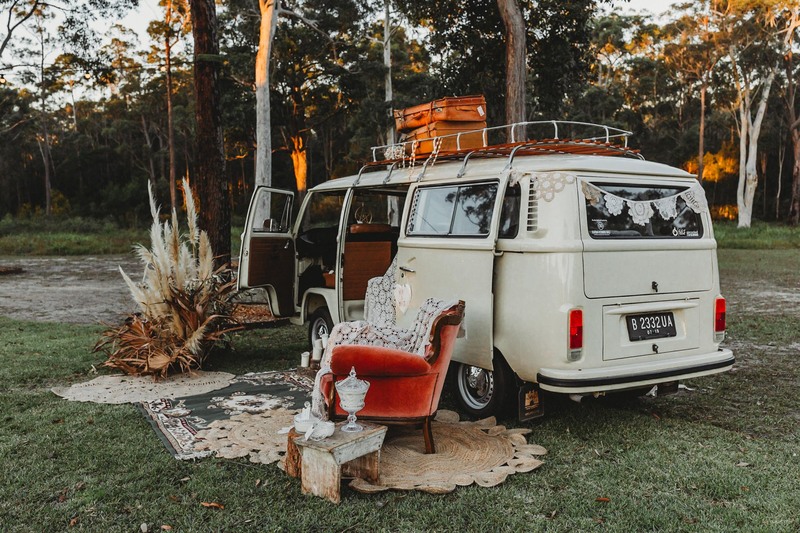 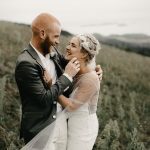 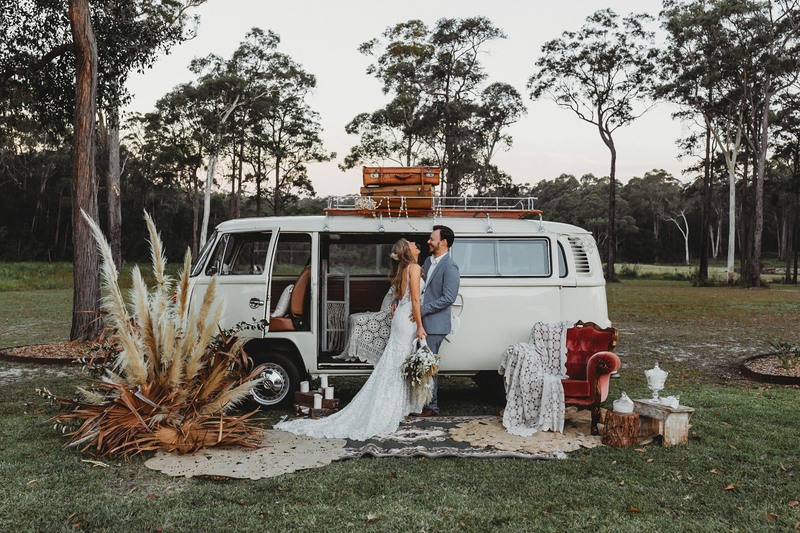 We decided on a boho, vintage look as we wanted to really showcase Arrows and Lace’s Vintage Kombi which is used as a backdrop and photobooth. 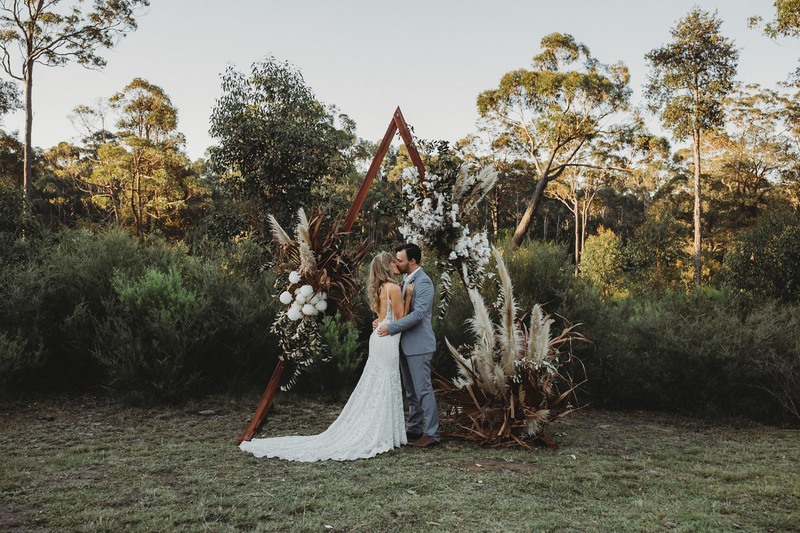 Our colour pallet was lots of greenery, ivory, blondes, smokey whites and anything textural. 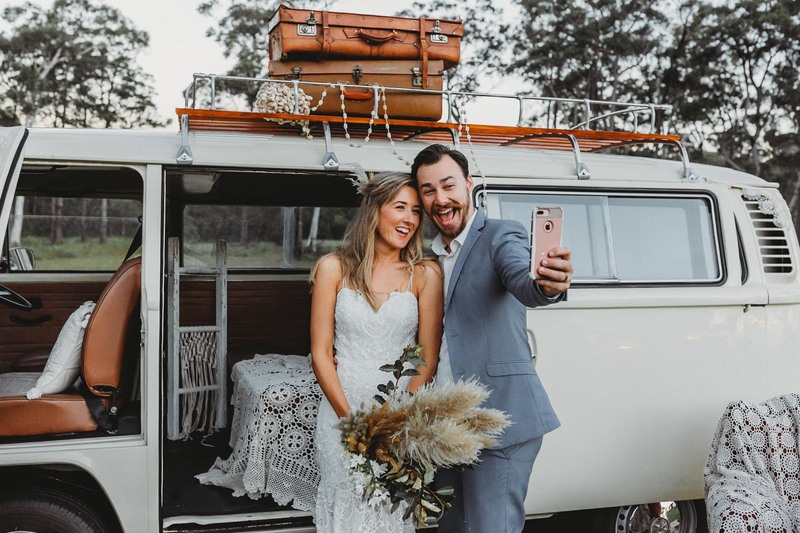 Brodie and her Husband Adam were so in love after only just getting married themselves recently. 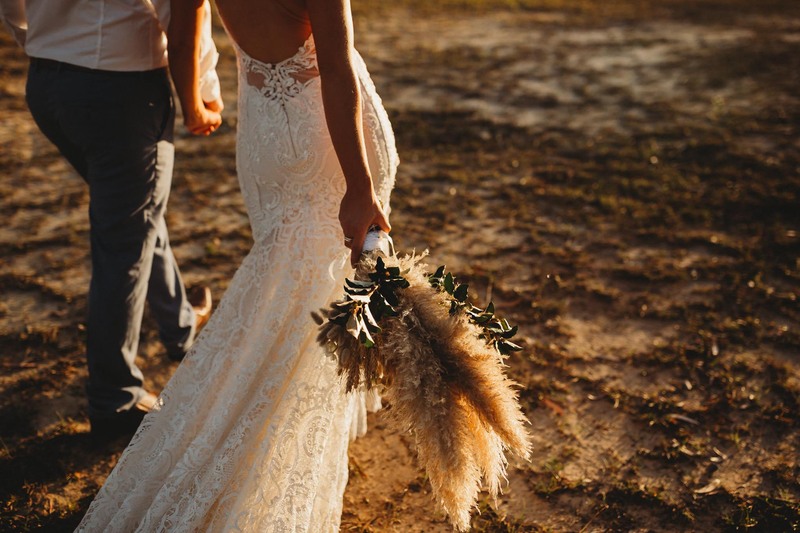 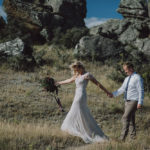 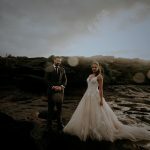 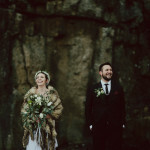 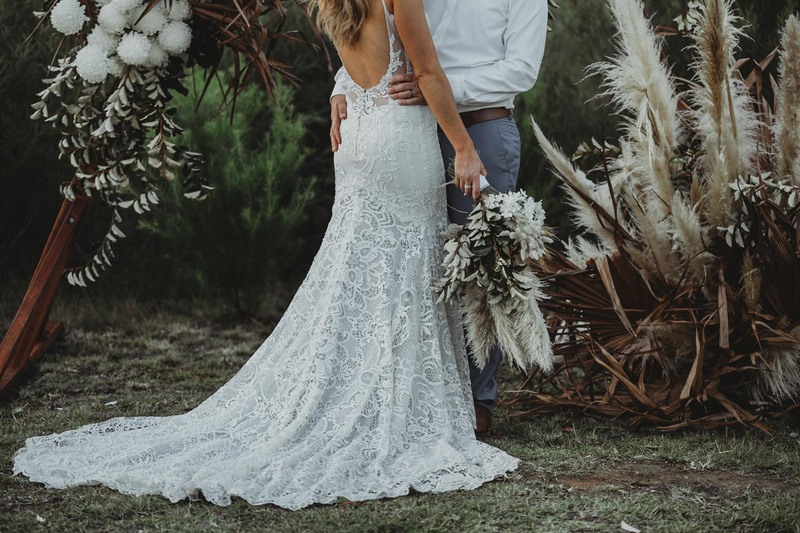 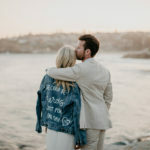 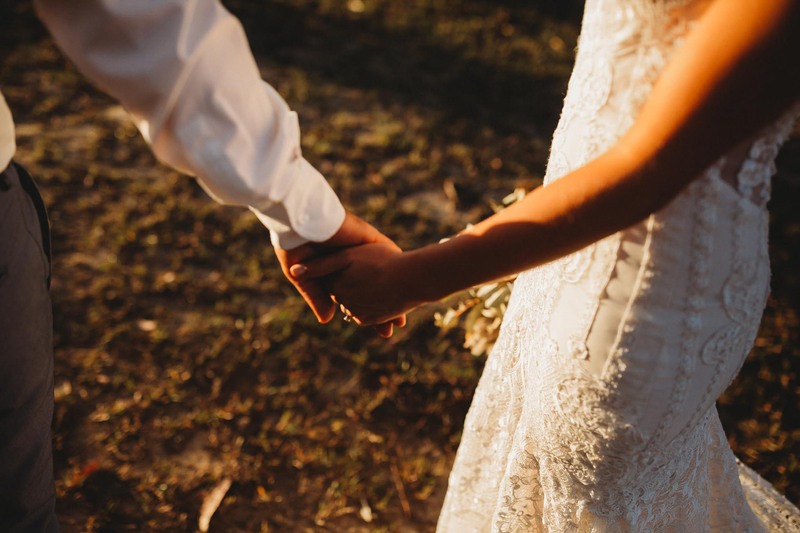 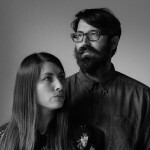 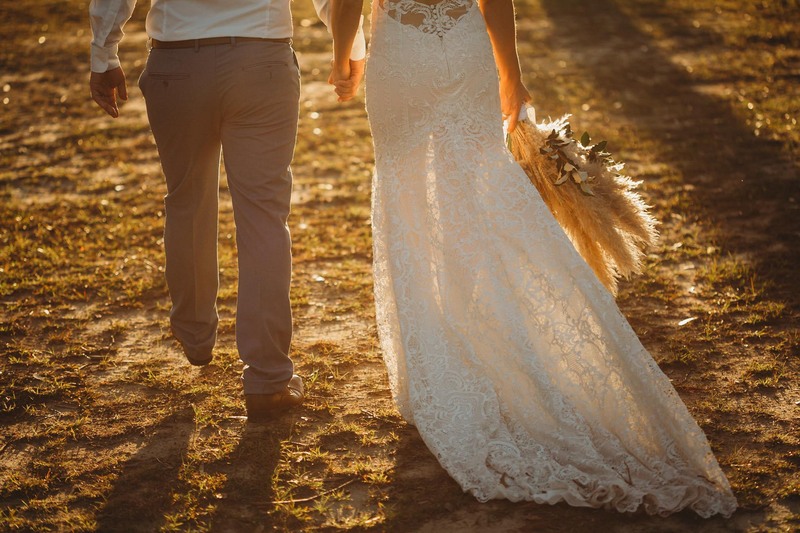 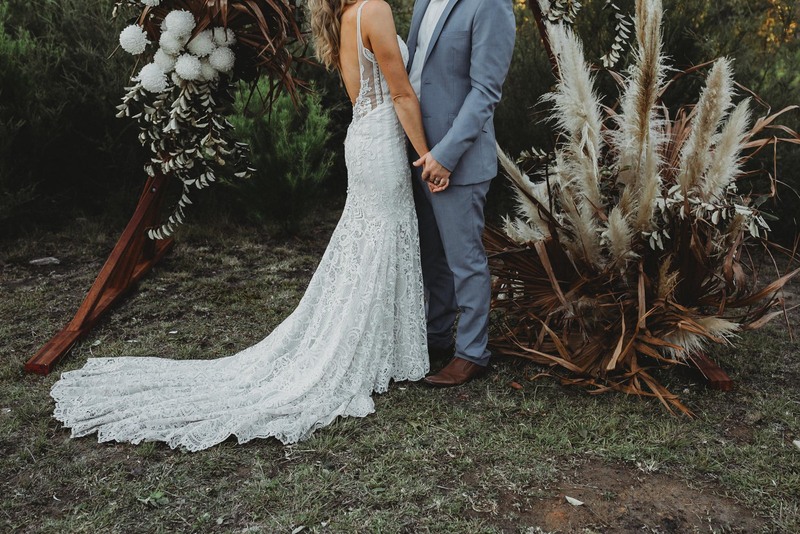 They were more than happy to dress up again and be a part of this beautiful shoot, and how could you not want to put on that beautiful ‘Made With Love, Danni dress’ again? 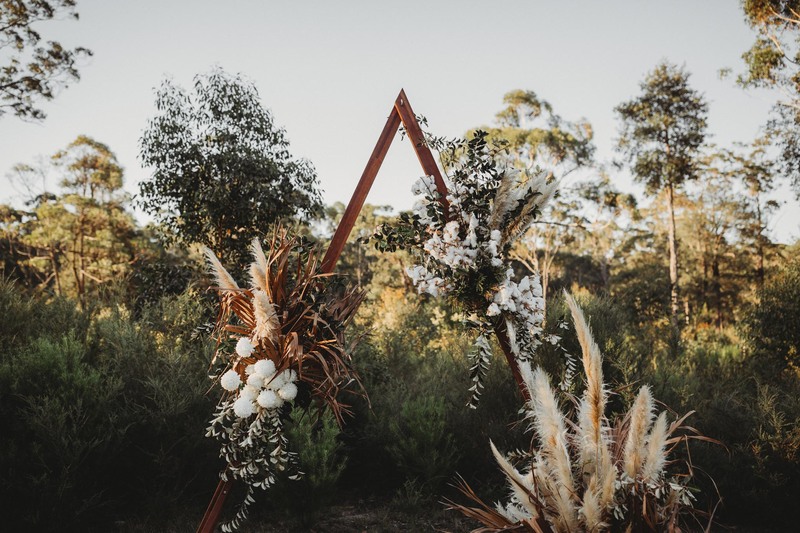 Arrows and Lace supplied us with the beautiful Arrow Arbour for Brodie and Adam to be Married under. 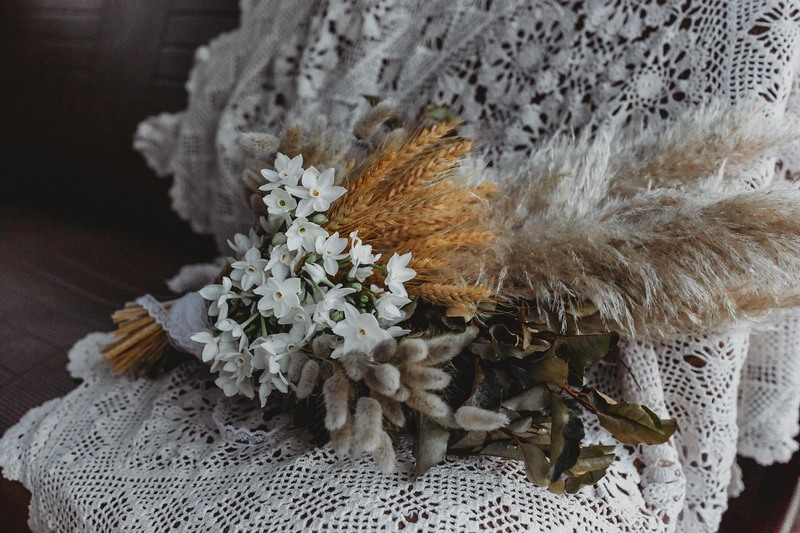 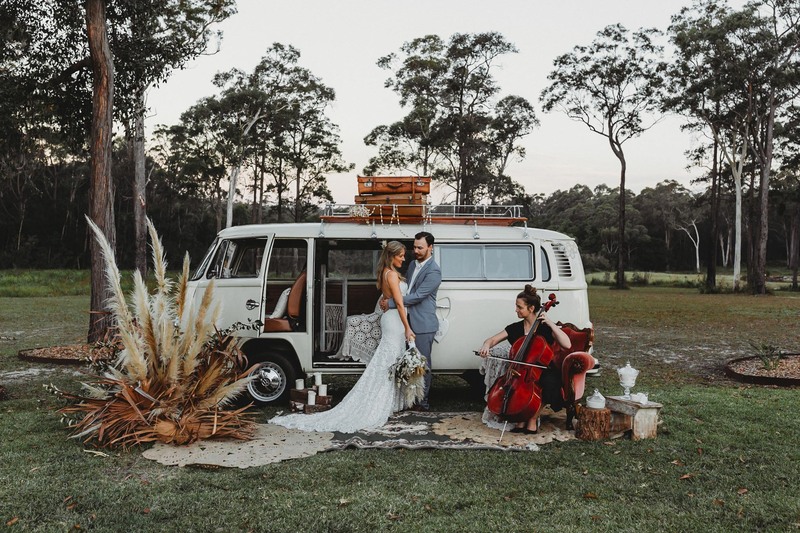 Which was beautifully styled by Ivy Lane Collective who’s vision was to tie in with the soft natural pallet and boho look of this shoot. 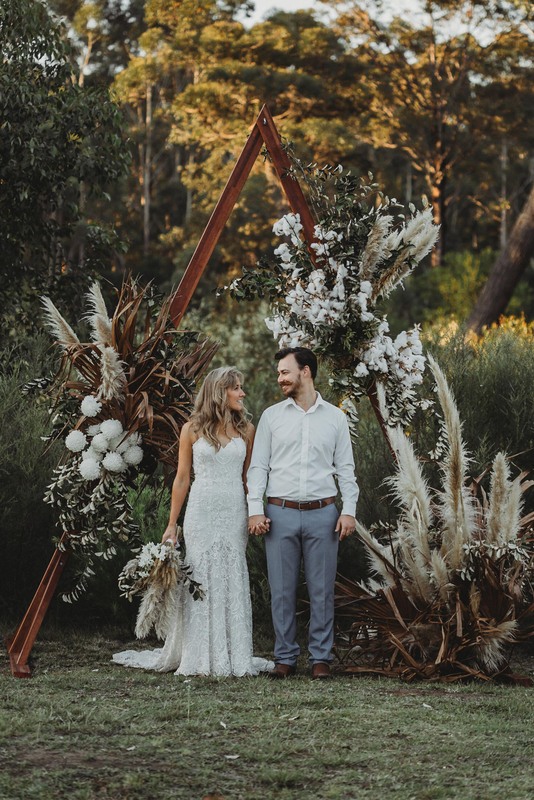 It was important to use natural tones and compliment it with textured products such as dried mixed with florals to add depth and contrast. 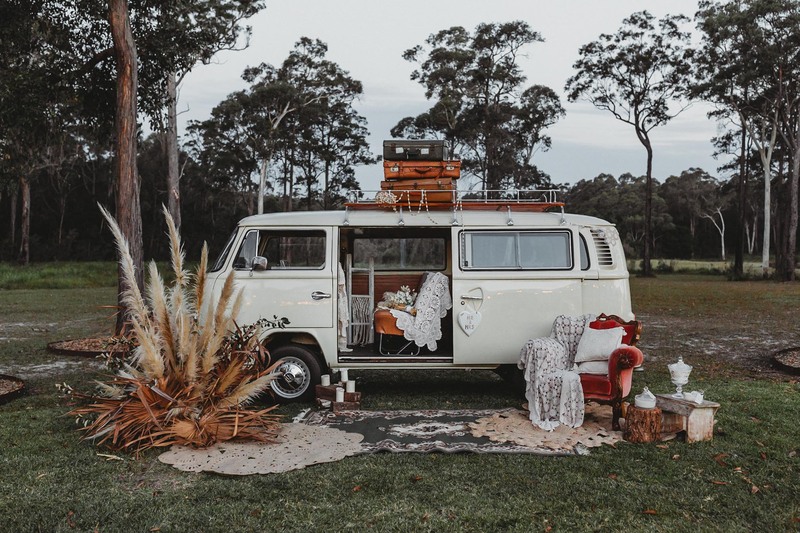 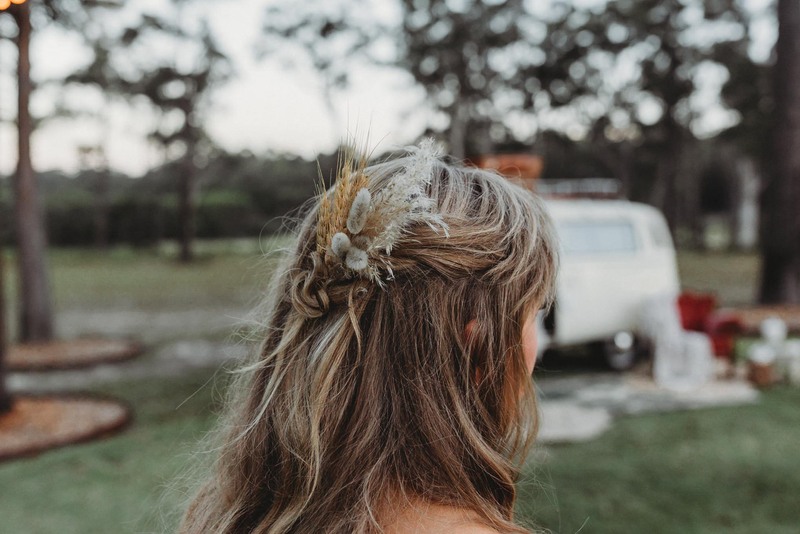 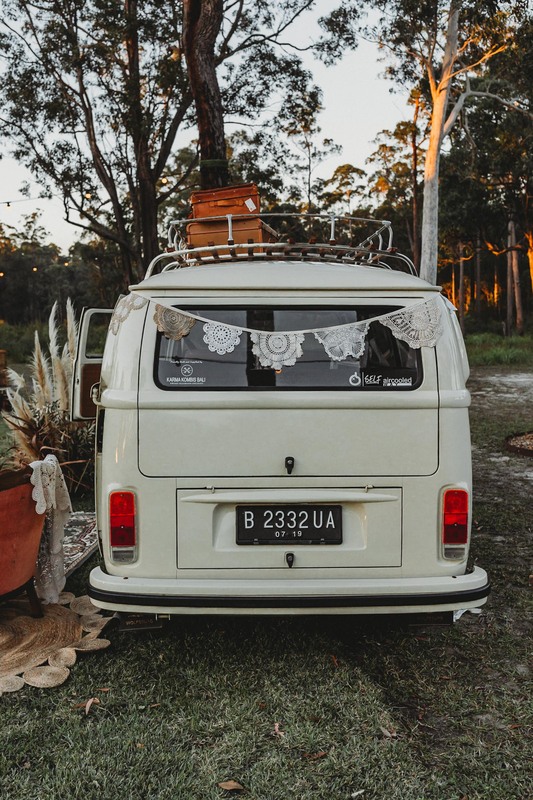 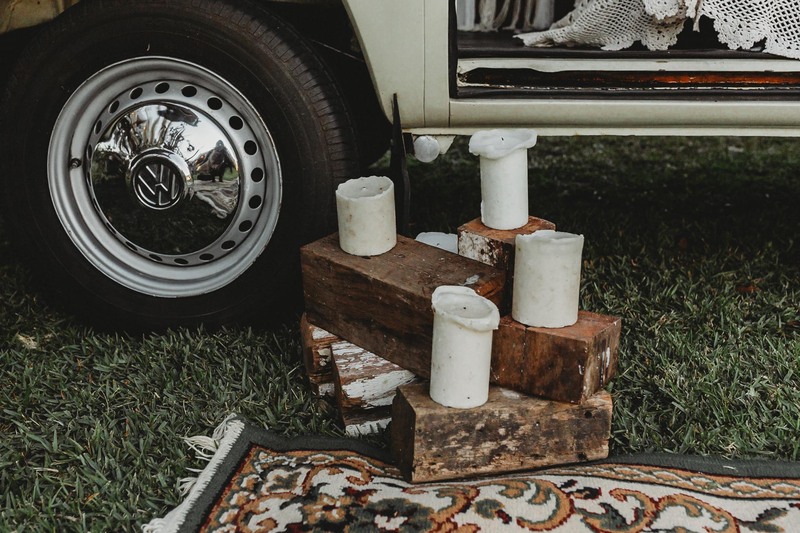 The Kombi was also supplied by Arrows and Lace with a collaborative styling effort thanks to Hoorah events for furniture, Ivy Lane collective for the flowers, Beloved boho for candles, and a few of Arrows and Lace’s own props that accompany the Kombi. 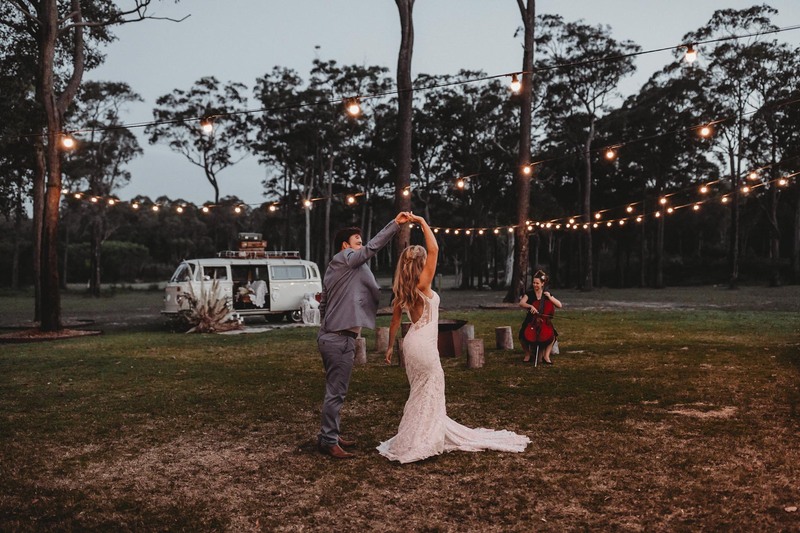 I really wanted to share a first dance out under the stars to show you can still keep the traditional moments but make it more ‘you’. 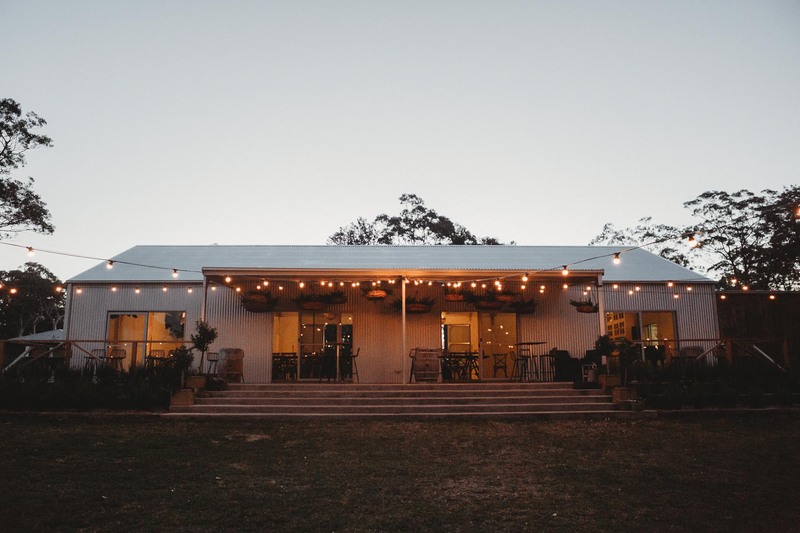 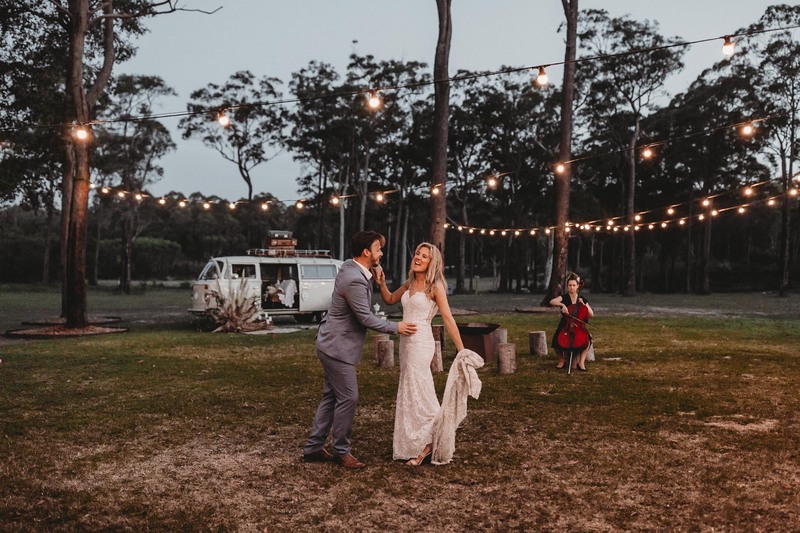 Lit up by the beautiful festoon lights The Woods Farm definitely provided the goods. 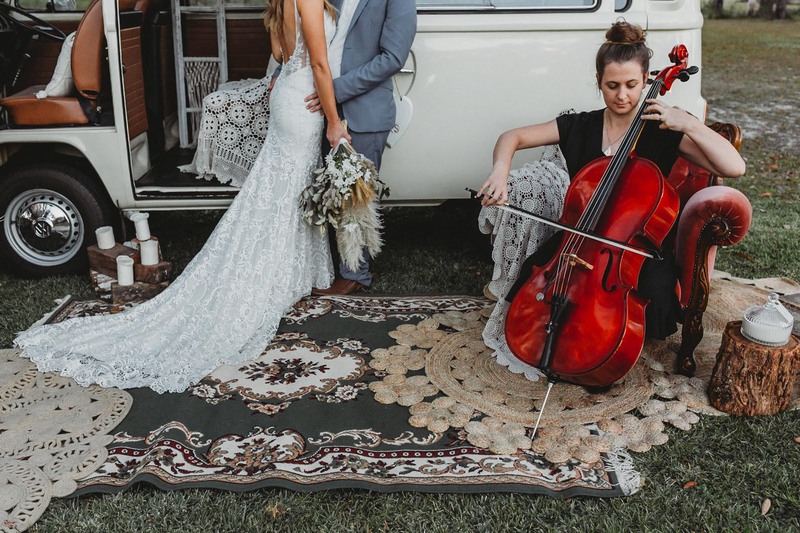 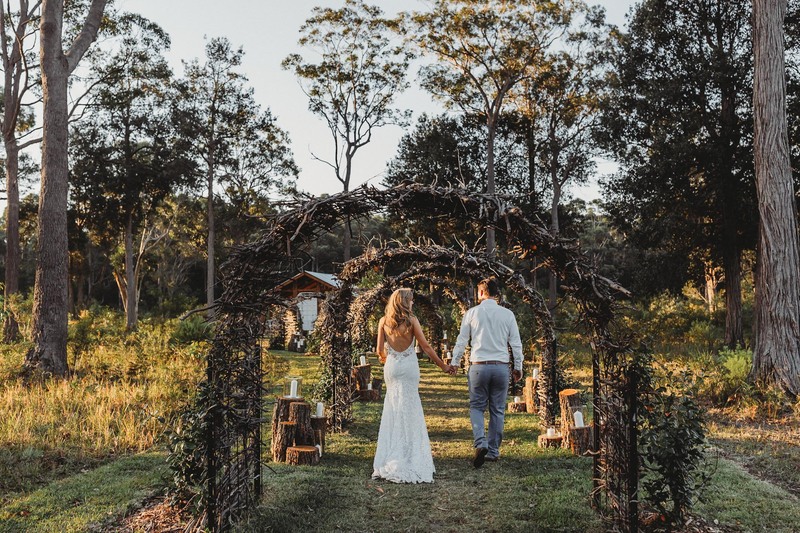 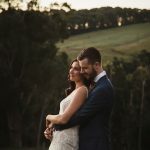 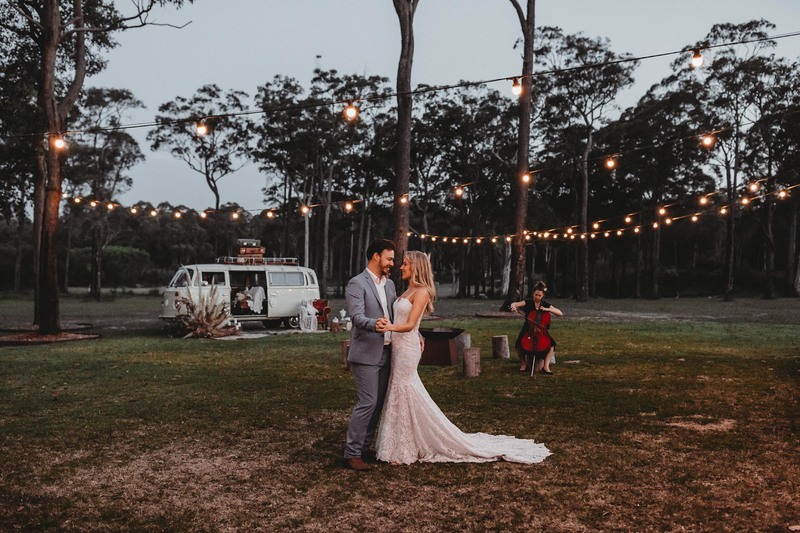 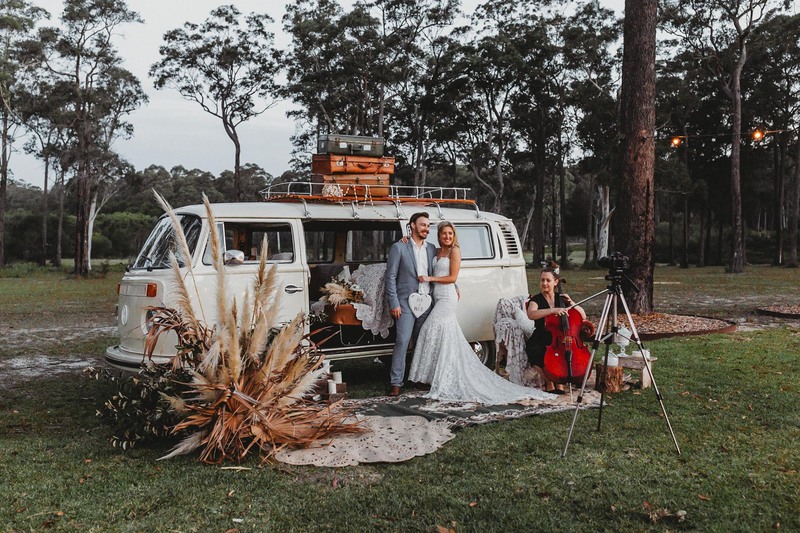 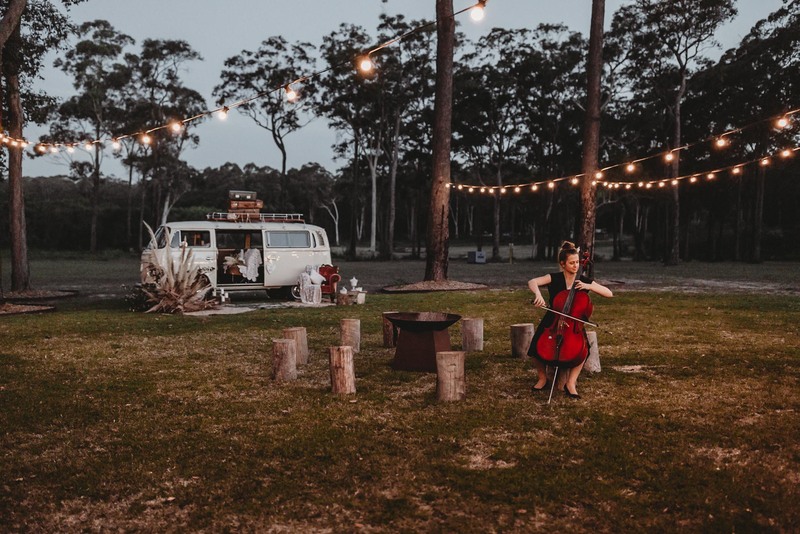 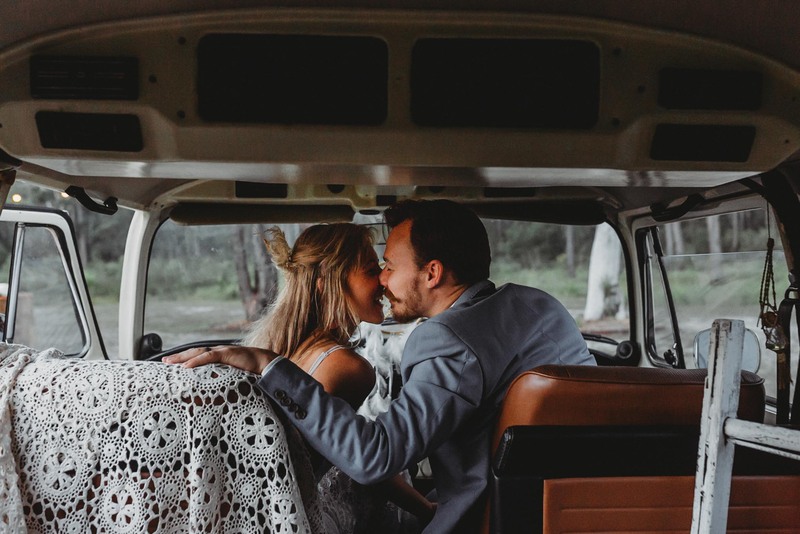 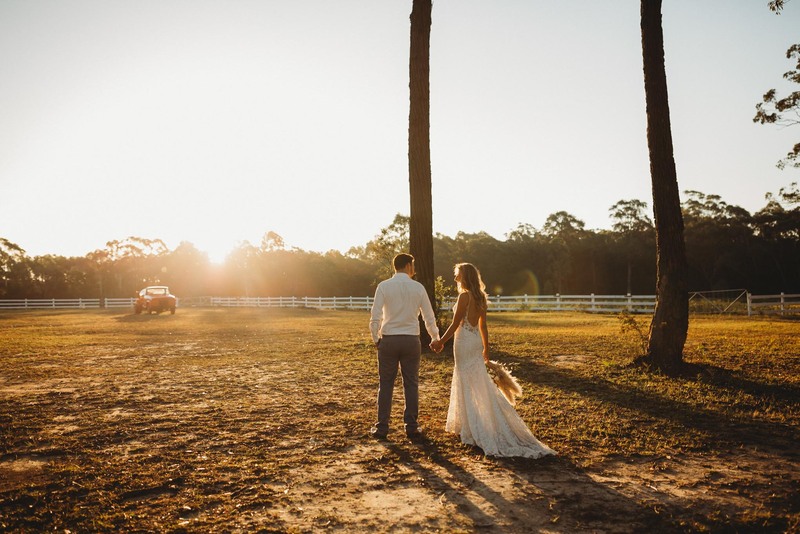 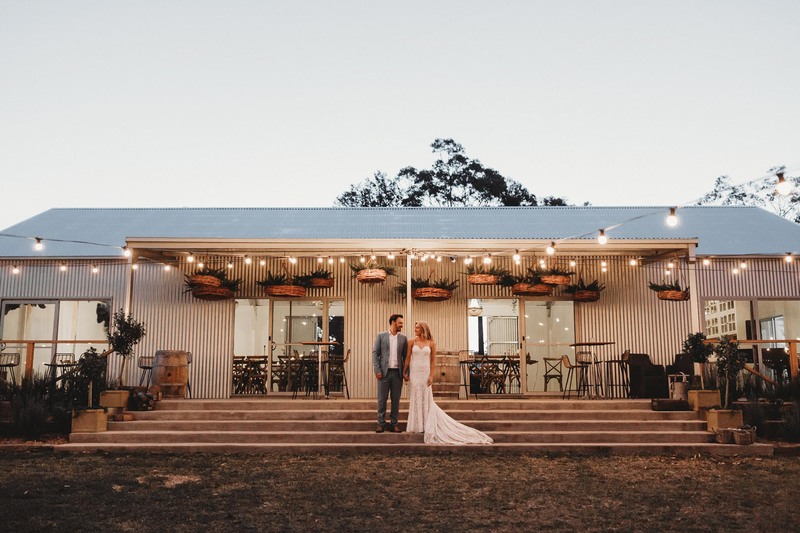 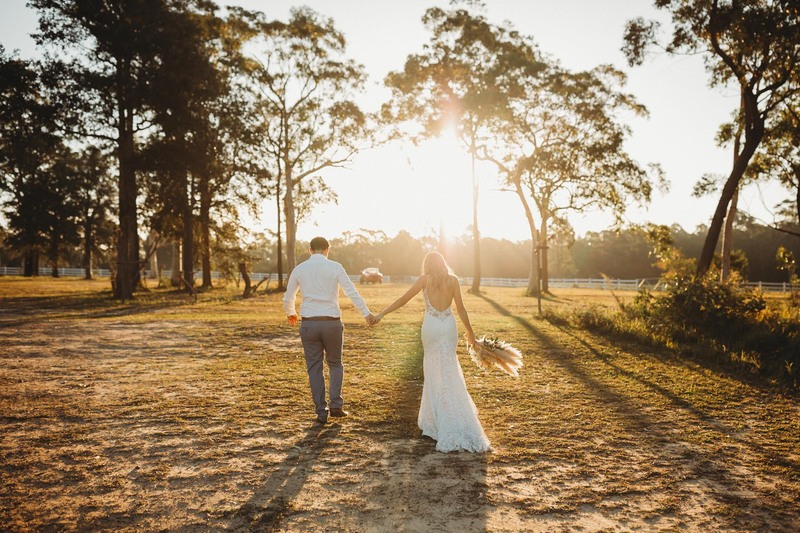 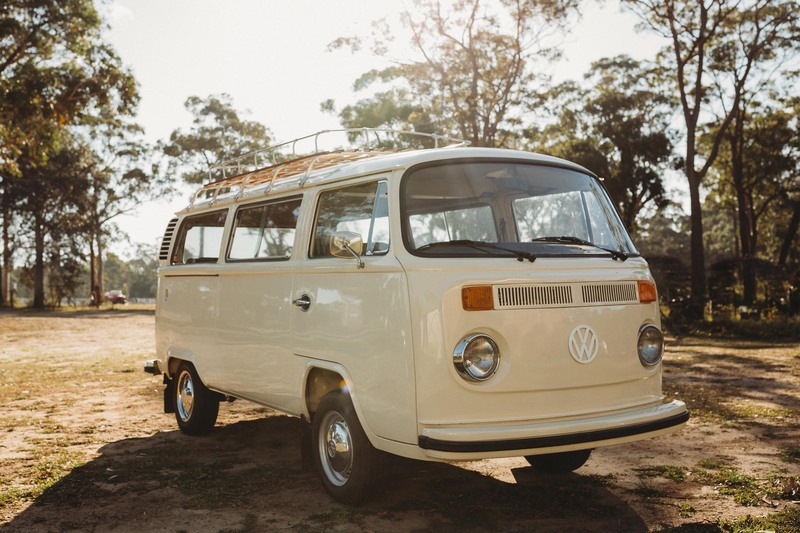 With the first dance song played on Cello by Shoalhaven Strings and the Kombi set up in the background all made for a dreamy first dance location.